At Montem School, we provide a curriculum that is rich, broad and balanced, which motivates everyone to succeed. We desire everyone to enjoy school and therefore our teachers plan lots of exciting activities to engage children in learning. Teaching combines discrete subject teaching with thematic units. We have a strong emphasis on the teaching of the key skills – reading, writing and mathematics – and plan learning to enable children to confidently apply these skills across the curriculum. 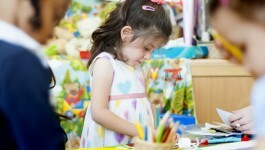 The Early Years Foundation Stage Framework in Nursery and Reception and the National Curriculum in Years 1 to 6 form the basis of our curriculum. We supplement this with additional learning that meets the needs of our children and reflects our community. Our curriculum map details the teaching and learning that happens in each year group. More detailed information on our curriculum can be provided by class teachers or assistant head teachers on request. In addition to a daily English lesson, reading is taught throughout the school and phonics happens daily in the lower part of the school. In Key Stage 2, spelling and grammar is incorporated naturally as part of the teaching sequence in English to promote effective writing. Starting in the nursery, all children learn phonics as a key tool for learning to read. We, like many schools, follow the Letters and Sounds scheme. Reading happens every day at Montem. In Key Stage 1, guided group reading, led by the teacher and support staff is the main way that we teach reading. This is complemented by one-to-one reading and whole class teaching. Children are also expected to read at home every day. In Key Stage 2, whole class reading is the vehicle through which we develop and facilitate children’s comprehension skills. There is a huge focus on building children’s vocabulary to empower them to tackle increasingly more complex texts. Additionally, time is spent exploring different reading domains and children gain practice in answering focused questions designed to stimulate higher order thinking skills. Texts are very carefully selected to inspire and engage children as readers and we expose them to a broad range of books. We use a combination of modern and classic texts including texts that reflect our school community. Reading for pleasure is a high priority. Children borrow books from our well-stocked library and participate in the Islington Reading Road Map scheme. This scheme has proven to be instrumental in promoting independent reading amongst our learners in Key Stage 2. As children progress through the school, they are introduced to different books based on their reading skills. This depends on the child’s ability to decode the words and understand the contents. Please click here for more information about the different 'Book Bands' used to assess children’s reading and how best to support your child reading at a particular band. All our children write frequently, in English lessons and throughout the curriculum. Children are taught to write for a range of purposes and in a range of contexts – some real and some imaginary. Please click here for our model unit plans where the different text types for writing are explored further. Please click here for our Writing skills progression document. Daily Maths lessons ensure that children become confident in the three main mathematical aims of the National Curriculum: fluency, reasoning and problem solving. Children gain fluency practice through systematic and regular arithmetic work, as this is fundamental to all mathematical understanding. Weekly challenge days in maths further allow children to apply their mathematical understanding to reason and problem solve in a range of contexts- thereby deepening their understanding. Please click here for our Calculation policy and our Maths overviews. Science lessons focus on a ’hands-on’ approach to learning. Children develop knowledge and understanding through investigations and experiments. As children progress through the school, their investigative and scientific skills are developed through a range of focused units. We promote cross-curricular learning across subjects by integrating teaching under themes shown through our curriculum maps. These can be found here. These can be found on the curriculum maps for each year group. Foundation subjects are usually taught in blocks in intense, in-depth sessions during the afternoons to facilitate rich, context-based sessions. Links are then made within and between subjects to deepen children’s understanding of topics explored. We use specialist teachers to deliver certain elements of our curriculum including Sports coaches and a skilled Coding teacher.